Folks who cannot attend church regularly often fall out of the habit of giving to the Lord's work. Many times we do not pray and give for missions because we simply do not have the opportunity to give wisely. These opportunities are offered especially for folks who cannot give through their local churches. We recommend the following projects as biblically sound ways to spread the gospel of Christ. We are not affiliated with any of these, but we do know many of these folks personally. Just click on the links to examine or support one or more of these worthy causes. We cannot forward your gifts directly and not all gifts may be tax deductible. Today is a good day to support the cause of Christ! "Not because I desire a gift: but I desire fruit that may abound to your account." Philippians 4:17. Located on the southern edge of the beautiful Black Hills in Hot Springs, South Dakota,. 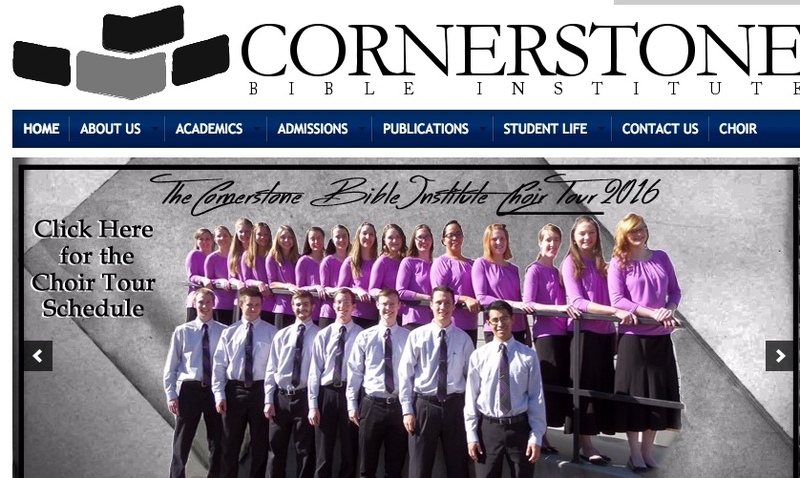 The Cornerstone Bible Institute has been quietly training pastors, missionaries, and Christian servants to serve at home and around the world for the last 25 years. What makes Cornerstone unique is that none of its faculty members receive compensation from the school. All live by faith as God supplies the need through His people. Help train a new generation of biblically sound pastors and missionaries! Cornerstone's educational philosophy is exactly opposite to the stance of most Christian schools. It believes that immersing the student in the Word of God and in active service for Christ is the best possible training for service. Theory and peripheral studies are minimized as doctrinally sound and experienced teachers equip the next generation. Instead of bemoaning the state of modern Christian education, we invite you to join hands with a bare bones Bible institute with a history of equipping men and women for the ministry. Consider sending a single gift or supporting a worthy faculty or staff member!